Toronto Maple Leafs head coach Mike Babcock said Monday the team plans to recall Calle Rosen this weekend, should he remain healthy with the AHL's Toronto Marlies. Rosen, 25, dressed for the Marlies on Sunday for the first time since Feb. 22 when he was injured blocking a shot. He has seven goals and 45 points in 53 games with the Marlies this season. Babcock also said that depending on Calle Rosen’s health, the #Leafs will recall him after he plays another game with the Marlies next weekend. Rosen returned to the Maries’ lineup yesterday. Babcock said Rosen will play at least one more game with the Marlies before being recalled. The Marlies are off until Friday, when they visit the Utica Comets. 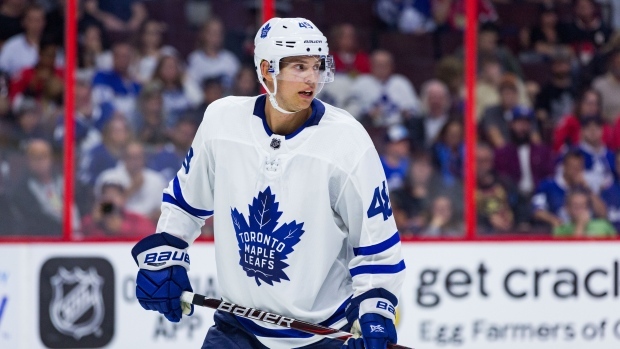 Rosen, signed out of the Swedish Hockey League in 2017, appeared in four games with the Maple Leafs during the 2017-18 season. He won the Calder Cup with the Marlies last season.